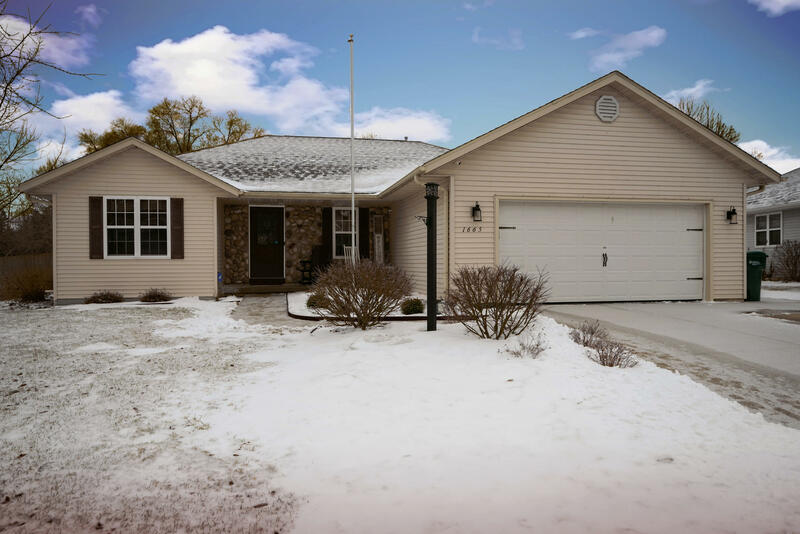 1665 Homestead Trl Kewaskum, WI. | MLS# 1622172 | Star Properties Inc. This beautifully kept 5BR/3BA home is located in the desirable Homestead Hollow Subdivision. The main level offers open concept living. LR offers vaulted ceilings, and a GFP. KIT w/Maple Cabinetry, snack bar and all newer SS appliances. The split bedroom design offers a private MSTR suite w/MSTR BA, private patio access, and a large WIC. Newer HDWD floors throughout main level. 2 Full BA's with solid surface counters and CT. Updated laundry room includes newer washer/dryer.Downstairs you will find 2 over-sized BDRM's, 1 w/large WIC closet. Nice rec room area includes a GFP with stone surround. LL game/exercise room. 3rd full BA offers a Jacuzzi tub/shower, solid surface counter and CT floors. New fenced yard, and extensive professional landscaping have recently been completed.